12Vdc Linear Power Supply at 200mA. Supports both 115 and 230 VAC inputs. If you hook up a pair of speakers to your computer audio output jack it generally sounds really good. So if you add a power supply and the FM02 transmitter and it sounds bad, it is most likely your power supply. 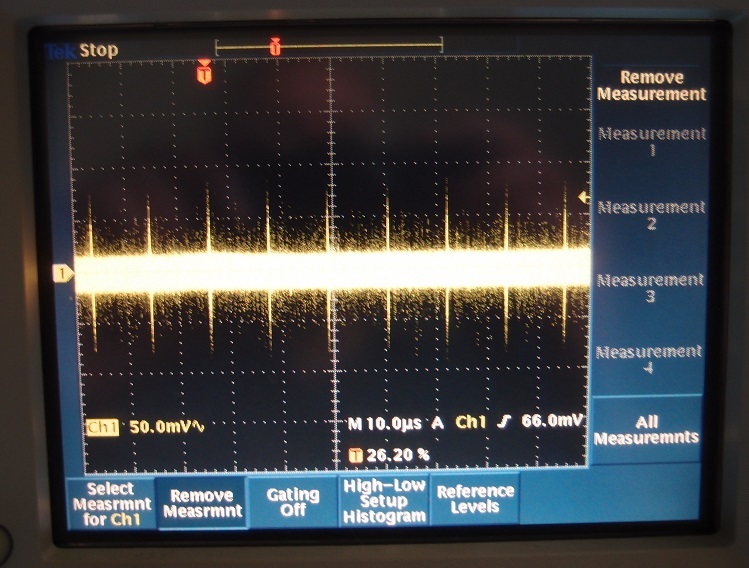 If you look at the normal switching power supply, there is a main switching frequency from about 50Khz to about 1MHz. This switching noise is almost impossible to filter out. The noise is proportional to the amount of current being switched and the speed of the switch. This noise while not in audio band will show up as noise to the transmitter. Your output range is dependent upon the signal to noise. If you have a high noise floor your transmit range is reduced. Some of the users of the FM02 have started using batteries with great success. Batteries are about the lowest noise source for power. However, if you like the convenience of a power supply, you should really think about a linear power supply. These type of supplies have no switching noise and are very quiet. The draw back is generally low conversion efficiency. In this case you are supplying 12Vdc at about 75mA of current. So you don’t need much power. Most linear power supplies are designed for greater power and therefore cost more. 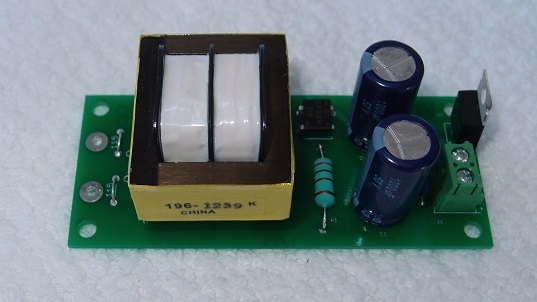 This power supply is designed for the FM02 and is low cost. In addition, if you are new to soldering this is an excellent first project.